The Miami Herald endorses the Florida medical marijuana initiative, medical marijuana is playing a role in the Utah gubernatorial race, and more. Last Thursday, the state Supreme Court okayed the medical marijuana amendment . The state's high court has rejected a bid by medical marijuana opponents to prevent state officials from counting votes for the Arkansas Medical Marijuana Amendment, on the ballot as Issue 6 . A competing medical marijuana initiative, the Arkansas Medical Cannabis Act, also known as Issue 7 , is also on the ballot, but still faces a court challenge over signature submissions. Last Thursday, a Los Angeles marijuana regulation initiative qualified for the March 2017 ballot . The Los Angeles Marijuana Regulation and Safety Act  has qualified for the March 2017 ballot, the city clerk confirmed. A campaign led by the United Cannabis Business Alliance and the Citizens' Coalition to Protect Patients and Neighborhoods has collected enough validated signatures to qualify, the clerk said. The act would bring the city in compliance with new state medical marijuana regulations. On Monday, the Miami Herald endorsed the medical marijuana initiative . The influential newspaper has come out in support of the Amendment 2  initiative, citing the legislature's unwillingness to enact a meaningful medical marijuana law. "In 2014, the Legislature legalized some strains of marijuana for patients with severe seizures. 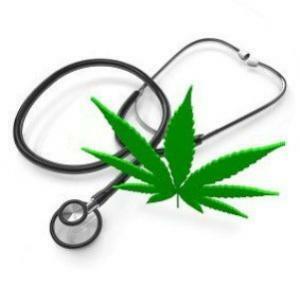 Last year, lawmakers legalized full-scale medical marijuana, but only for the terminally ill," the newspaper noted. "Once again, initiative foes argue the legalization of medical cannabis should be handled by the state Legislature instead of being enshrined into the Florida Constitution. We agree, but since lawmakers have repeatedly failed to pass comprehensive legislation, sick Floridians want this relief. For their sake, we recommend YES on Amendment 2." Last Friday, a new poll had overwhelming support for medical marijuana . A new WTHR/HPI Indiana poll finds nearly three-quarters of likely Hoosier voters are ready for medical marijuana. The poll had 73% in support, with only 25% opposed. Even among Republicans, support was at 59%. Medical marijuana bills have been introduced, but have gone nowhere in the Republican-controlled state legislature. On Tuesday, the governor said he was open to renewing the state's CBD cannabis oil law .Gov. erry Branstad (R) said Tuesday he was open to working with advocates to extend a soon-to-end law that allows the use of CBD cannabis oil for patients with epilepsy. The law is set to expire next July 1. "We don't want people to lose something they think will be helpful or that has been helpful to members of their family," Branstad said. "I intend to work with the legislature as well as with the (Governor's) Office of Drug Control (Policy) as we look at what is the appropriate thing to do. Last Thursday, the feds said they won't prosecute the Democratic gubernatorial candidate's wife, but the state will . Mike Weinholtz (D) is running for governor of Utah, and his wife is being prosecuted for medical marijuana offenses. Donna Weinholtz, who "uses marijuana to seek relief from chronic neck, back and knee pain brought on by arthritis," was the subject of a federal investigation after she got caught attempting to mail a package containing marijuana, but the feds have declined to prosecute, saying the case would more appropriately be handled by Utah authorities. The Tooele County prosecutor is moving forward with the case. On Wednesday, Weinholtz's wife pleaded guilty to state charges, and he called for medical marijuana legalization . Democratic gubernatorial candidate Mike Weinholtz called for the legalization of medical marijuana in the state Tuesday just hours after his wife pleaded guilty in state court to misdemeanor pot possession charges over marijuana found in their home. Donna Weinholtz used marijuana medicinally to relieve chronic pain, the couple said. "I, like many Utahns, made a deliberate and conscious decision to use cannabis knowing full well that it is against the law," she said. "I have faith the law will change."